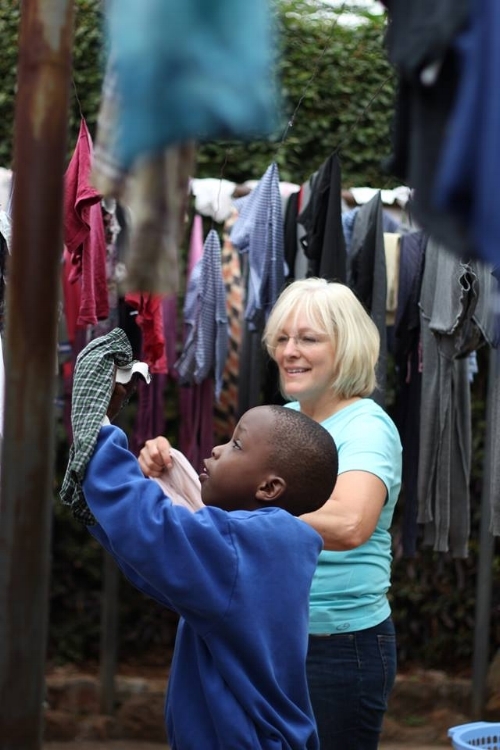 This trip is all about spending time with the children at Rehema Home Nairobi. Since our kids will be on school break, they'll be thrilled to have visitors! Together, you’ll create a Vacation Bible School experience ages the following age groups: 2-5, 6-10, 11-12, 13-17, 18 and up! The cost of this trip will be between $2,500 - $2,900. Trip Costs Include: Airfare, in-country housing accommodations, some in-country transportation, and some meals (breakfast, packed lunch, dinner). Trip Costs Do NOT Include: Passport expenses, visa expenses, immunizations, medications, extra baggage fees, souvenirs, personal spending money, and travel insurance. Rehema Home will make all of your travel arrangements, which includes flights and some in-country transportation. The flights, including layovers, will take around 24 hours. A representative from Rehema Home will meet you at the Nairobi airport. Please check with your airline for specific luggage restrictions or requirements. Travel insurance is required for each person and can be obtained directly from our travel agent as well as from other providers. If you wish to use our travel agent to obtain insurance please contact us. What types of documentation will I need? You will need a valid passport. If you do not have one, cannot find it, or need to renew it, schedule an appointment to get one as soon as possible. Application forms are available online or at the local Post Office. The process can take as long as six weeks. If you already have a passport, make sure that you have at least four blank visa pages and check the expiration date to make sure that it does not expire within six months of the travel date. Please note that this fee is each individual’s responsibility and is not included in the trip cost. If you are staying in Nairobi, you will stay at a nearby guest house. All accommodations will be clean and comfortable. Breakfast and dinner will be served at the guest house. You'll be expected to pack your own lunch and bring it with you. All team members are expected to try new foods. Culturally, it is not acceptable to refuse food when offered. All food will be prepared under hygienic conditions. Team members should bring water bottles to fill up during their stay, as it is not safe to drink the water from the tap. Safe bottled water will be available to the team for the duration of your stay in Kenya. What immunizations & medications do I need? Plan to visit your doctor or local Passport Health office at least six weeks before traveling to inquire about immunizations and medications. Several vaccines do not produce immunity until two weeks after they are given, so it is important not to wait until just before your trip. To be respectful of local customs, Rehema Home requires that visitors dress modestly. Women should wear modest dresses, long skirts, pants, or capris. Shorts are acceptable to wear with a minimum of a 7-inch seam. Tight-fitting tops or bare midriffs are not appropriate. Women are required to wear skirts or dresses for church. Men should wear dress pants and collared shirts for church. Jeans do NOT count as dress pants. Ties are appropriate but not required. Shoes should be comfortable for walking one to two miles. Temperatures range in the 70s and 80s during the day and are cooler at night, dipping to around 60. There is a short rainy season from November to December, and a longer one usually from March to May. Based on when you are visiting the country, you can plan accordingly. In the evenings, when the temperature drops, you may want a jacket or sweatshirt. How much money should I bring & how do I exchange it? Please bring enough cash to cover eating out, any other additional costs discussed, and money for souvenirs. The best way to exchange money is by bringing US dollars. Please make sure the bills are not torn or marked and printed in 2006 or later. Torn, marked, or old bills will not be accepted by the banks. Larger denomination bills will have a better exchange rate. Do not bring traveler’s checks. If you are planning to use a credit or debit card while traveling, contact your bank prior to departure to let them know which countries your card will be used in. Visa is accepted at more locations than Mastercard. You will have the opportunity to exchange money when you arrive in Kenya. Before departure, money can be exchanged back into US dollars, however, you will lose value in the exchange, so don’t exchange more than you will need. Label all bags on the outside with your name, address, and phone number. Pack modest, comfortable clothing for the duration of your stay. Laundry available at both locations for a small additional cost.